Apple has sued Samsung Electronics for copying "the look and feel" of its iPad tablet and iPhone smartphone- the Wall Street Journal reports. 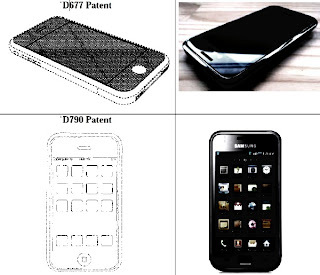 The entire bustle is about the Samsung Galaxy S 4G, which features more than a passing similarities to the iPhone 3G models. The process was filed in the Northern District of California on Friday and seeks sanctions against Samsung, compensations (both actual and punitive), and a finding that the infraction was deliberate. Hmm.. How does $5.7 billion sound? That's how much Apple spent on buying up parts from Samsung last year, according to the AFP, which cites the Cupertino Company as Samsung's second-biggest client after Sony. Given the breadth of Samsung's component manufacturing, these expenditures can and probably do span everything from flash storage and RAM to processing chips to displays. Another big thing to note is that, on the software front, they contradict iOS versus Android. When Apple calls Samsung uncreative due to its user interface, it concerns more Android's apparent simulation of the iPhone's interface. And of course, if you're going to sue Google indirectly, you can't leave a major player such as Samsung outside the courtroom, it just wouldn't be rational.